﻿ What We Know About Runescape Mobile! What We Know About Runescape Mobile! We have talked a little about Runescape coming to mobile devices and today we are breaking down the facts. The things that we actually know about Runescape Mobile! Jagex is taking people on to be part of the beta right now! So head over to the official site and try your luck. The site has been super busy since this was announced with many people saying it keeps crashing, but best of luck getting in on the beta! Old School Runescape is going to be released first in late 2017 and it offers full cross platform support. So in other words, you can start your game at home then continue it on the road on your phone. 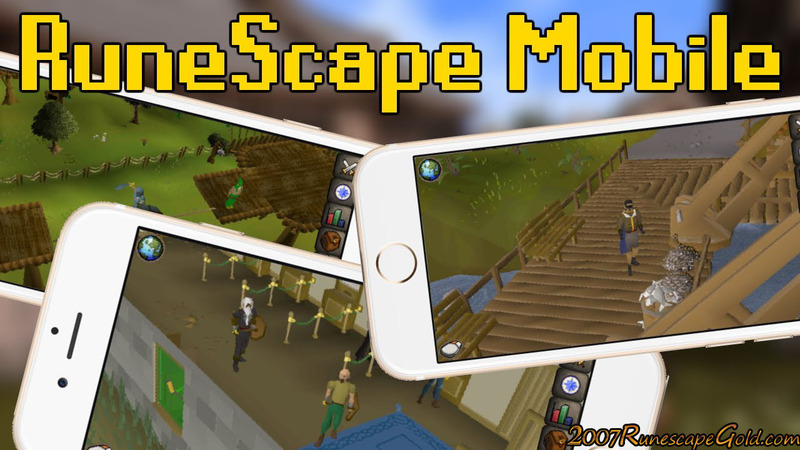 Android and iOS products will be good to go and both versions of Runescape will be optimized for these mobile devices to make playing them an easier experience. You can actually see some mock ups on the official site on how the user interface may be. It looks like the icons for your various actions will be at the side of the screen. That is right, free for members and free for everyone else! We have a feeling that this is really going to explode the Runescape player base and many people are going to be willing to try the game out that do not have a computer. There will be a special Q&A session with the devs where they will be specifically answering questions about the upcoming mobile Runescape games. So that is all we really know for now, but we do think this is very exciting news. There has never been a better time to stock up on Old School Runescape Gold and Runescape 3 Gold than right now, especially with our low prices that we have.